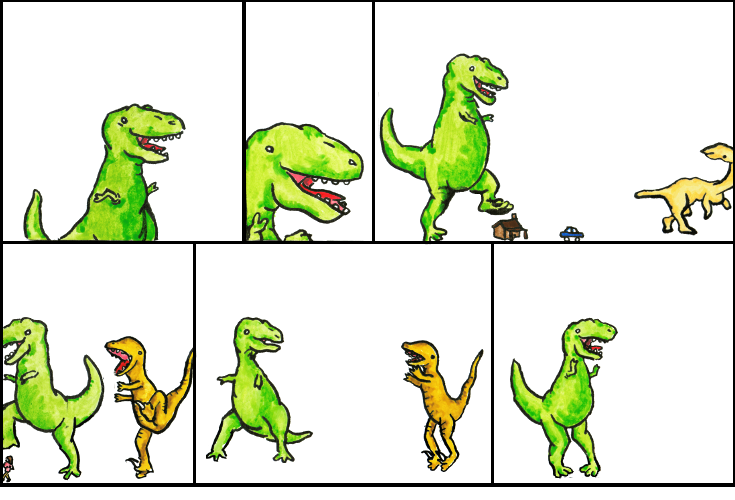 Dinosaur Comics - September 7th, 2011 - awesome fun times! September 7th, 2011: Jenn and I have been looking for a dog and last night we visited another pound, this one Toronto North. We didn't find the dog for us but it turns out that they've got tons of cats AND if you want to adopt one, you enter a giant playroom full of cats and sit amongst the cats and then leave with a cat! If you were looking for a cat it sounds - basically ideal? One year ago today: let's all act like this is a deal even if you don't consent to it, okay?